The technical program of the 20th International Conference for Domain Decomposition Methods consists of plenary speakers, participant-organized minisyposia, contributed presentations, and posters. A minisymposium consists of four 30-minute talks with a common technical theme. Minisymposium organizers are responsible for securing the participation of their speakers and collecting and forwarding initial speaker and talk title information, upon which minisymposium selection will be based. Once minisymposia are approved, speakers may use the same web-based automated submission procedure as other presenters to enter their finalized titles, abstracts, author and affiliation data, and speaker designation data (in the case of multiply-authored papers). 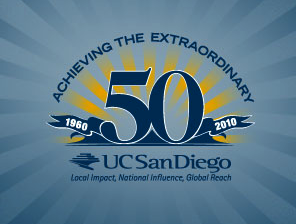 Minisymposia proposals should be e-mailed to dd20@ccom.ucsd.edu by 1 October 2010 to receive fullest consideration. Selections will be announced no later than 15 October 2010. Proposals consist of: (1) over-arching title, (2) organizer(s) with affiliations and e-mails, (3) abstract (150 words or less) of overall minisymposium, (4) list of speakers with affiliations and e-mails, (5) tentative titles of each speaker's talk. Proposals should be in uncompressed plaintext, pdf, or doc format (no docx please). Minisymposia are allowed two hours each. Linked minisymposia will be considered and will be scheduled appropriately to avoid conflicts. Please point out linkages in proposals. A contributed talk is a 20-minute presentation, which will be grouped by the organizers with other contributed talks into two-hour parallel sessions. Presenters are asked to submit their titles, abstract (150 words or less), author and affiliation data, and speaker designation data (in the case of multiply-authored papers) using the web-based automated submission procedure. The deadline for fullest consideration is 1 November 2010. Submitters will be notified of acceptance no later than 8 November 2010. If an earlier notification is required for visa purposes for participants from countries with restricted access to the United States, please e-mail submission to dd20@ccom.ucsd.edu as soon as possible, and special attention will be given. A poster presentation is an unlimited-time reservation of a standard poster-board display at the poster session. Poster submissions are first-class technical contributions and will be considered along with other contributions for inclusion in the proceedings. Presenters are asked to submit their titles, abstract (150 words or less), author and affiliation data, and speaker designation data (in the case of multiply-authored papers) using the web-based automated submission procedure. Because they do not affect room scheduling, poster presentations may be submitted later than Minisymposia and Contributed Presentations, with a deadline of 22 November 2010 for fullest consideration. Submitters will be notified of acceptance no later than 29 November 2010. If an earlier notification is required for visa purposes for participants from countries with restricted access to the United States, please e-mail submission to dd20@ccom.ucsd.edu as soon as possible, and special attention will be given.